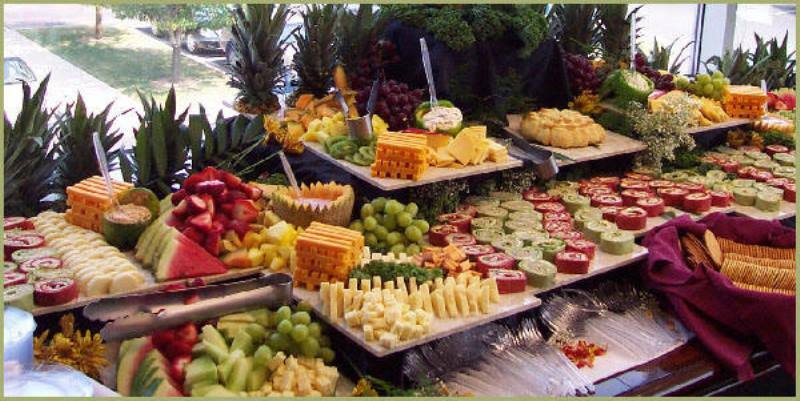 Fruits are amazing sources of vital minerals and vitamins that your body requires. 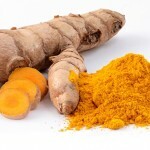 However, not only are they good for your health, they are amazing for your skin as well. If you want to enjoy beautiful, clear, soft, glowing skin, then you need to make fruits an integral part of your skin care regimen. 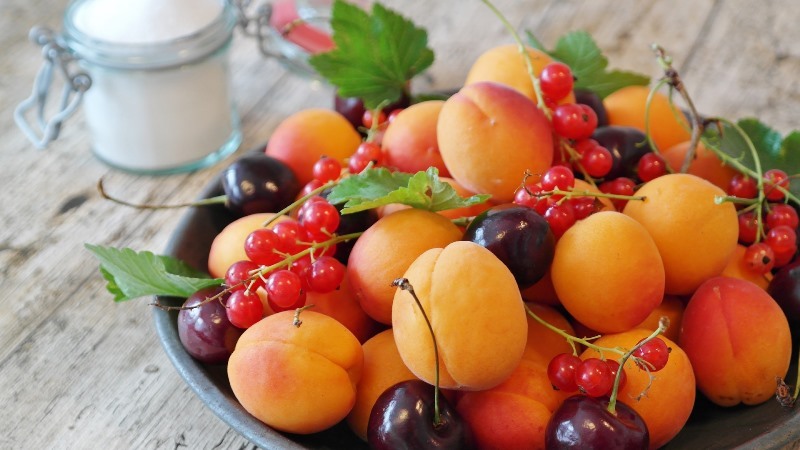 Opting for fruit face mask recipes will not only keep your skin away from chemical-laced products, it will also provide all the nourishment your skin needs, naturally. Before applying any face mask, cleanse and exfoliate your skin. Blend all the fruit pieces well so that you have a smooth paste that is easy to apply. If you use lemon juice in your mask, do not go out into the sun immediately after rinsing your face. You can use almost any fruit in a fruit face mask – bananas, strawberries, kiwi fruit, grapefruit, orange, grapes, apple, avocado, papaya, mango, and so on. Bananas are rich sources of vitamins A, B, C, and E, along with minerals that help make your skin healthy and glowing. 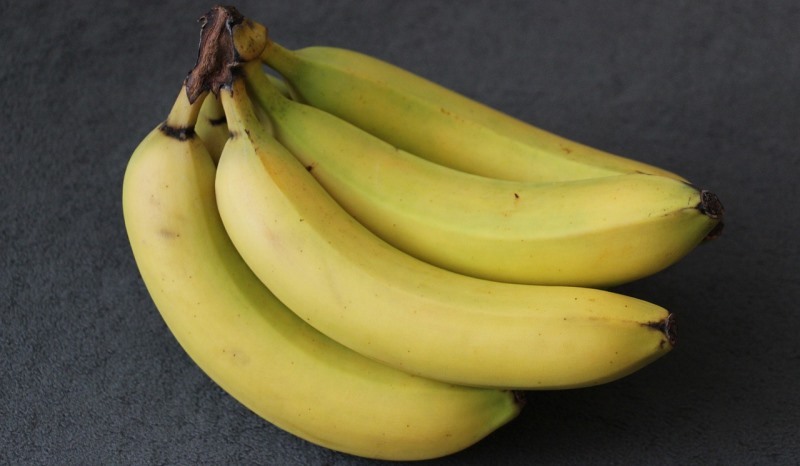 Bananas also contain potassium, which make it a remarkable emollient. Strawberries are packed with vitamin C, which is an antioxidant that helps fight free radical damage to skin cells, thereby keeping wrinkles and fine lines at bay. Honey is a humectant, which helps lock in the moisture in skin cells, while also lightening your skin tone. Mash half a ripe banana in a clean bowl using the back of a fork, so that there are no lumps or chunks in it. To this, add 3 strawberries and 2 teaspoons of honey. Mix all the ingredients well to form a smooth paste. 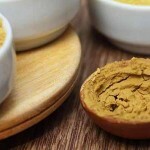 Apply this on your face and neck, steering clear of your eyes and surrounding sensitive areas. Let it sit for 20 minutes, before rinsing it off with lukewarm water. Repeat this face mask once in two days for best results. 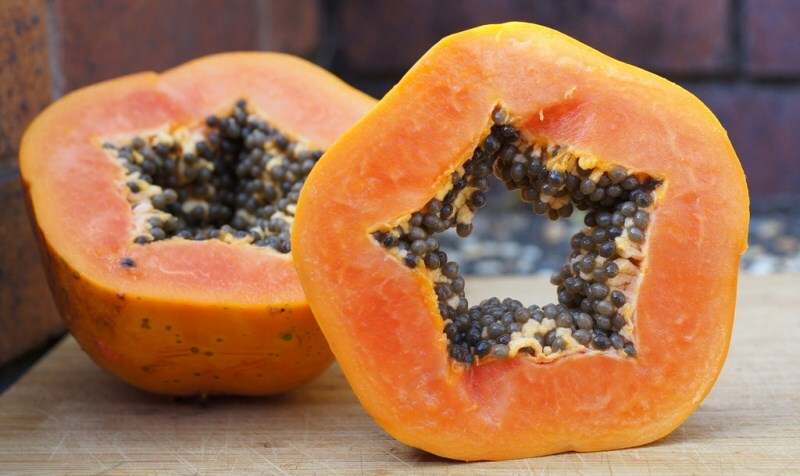 Papaya is an excellent fruit that contains an active compound papain, which helps nourish your skin from deep within. Honey helps lock in the moisture in your skin, while also helping lighten your skin tone. Additionally, honey possesses anti-fungal, anti-bacterial, and anti-inflammatory properties, which make it ideal in helping lighten blemishes and scars. Take 2 longish pieces of ripe papaya in a bowl and use the back of a fork to mash it into a smooth pulp so that there are no lumps or chunks. Add 1 teaspoon of honey to this and mix well to form a smooth paste. Smear this paste all over your face and neck, keeping clear of your eyes. Leave it on for 20 minutes, before rinsing it off with lukewarm water. 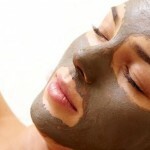 Use this face mask thrice a week for positive results. 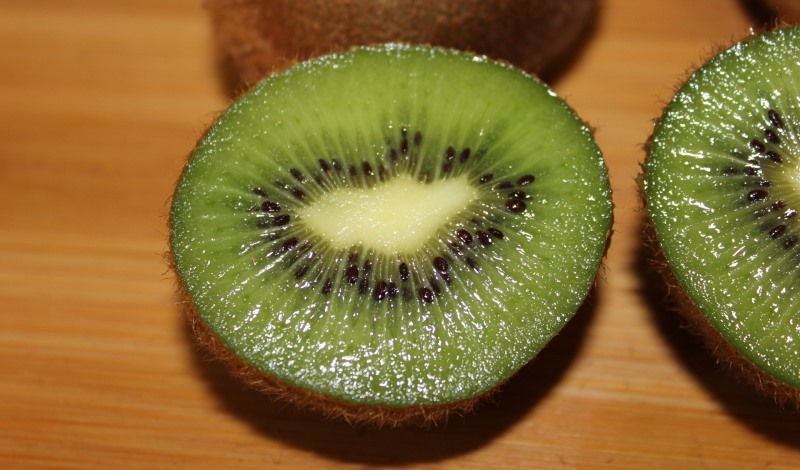 Kiwi fruit helps in lightening acne scars and helps get rid of acne, while also helping combat free radicals and the oxidative stress that they cause to cells, which are responsible for accelerating the signs of aging. Olive oil is a natural moisturizer, which helps hydrate and moisturize your skin from within. Yogurt is a gentle exfoliator that helps remove dead skin cells, grime, dirt, pollutants, and other impurities from your skin. Blend 1 ripe kiwi fruit in a food processor and collect this in a clan bowl. Add 1 tablespoon of plain yogurt and 1 teaspoon of extra virgin olive oil to this and mix well to form a smooth paste. Spread this paste over your freshly steamed face and neck, leaving it on for about 20 minutes, before washing it off with lukewarm water. In the end, splash some cold water to help close up the pores. Repeat this mask once a week for positive results. Cherries are rich in vitamins A and C, along with beta carotene, iron, magnesium, and potassium, and antioxidants. 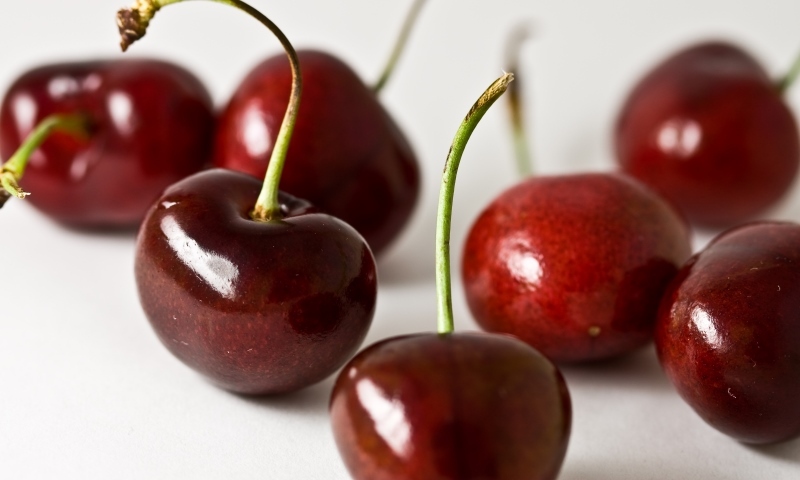 Due to the presence of these nutrients, cherries possess anti-aging and skin lightening properties. Strawberries, on the other hand, contain vitamin C and salicylic acid, which are ideal to combat signs of aging effectively. In a clean bowl, crush 5 strawberries and cherries each to form a smooth paste. Now add 1 tablespoon of honey to this and mix well. Smear this paste on your face and neck evenly, massaging it into your skin. Let it sit for half an hour, before washing it off with lukewarm water. Repeat this face mask thrice a week for positive results. 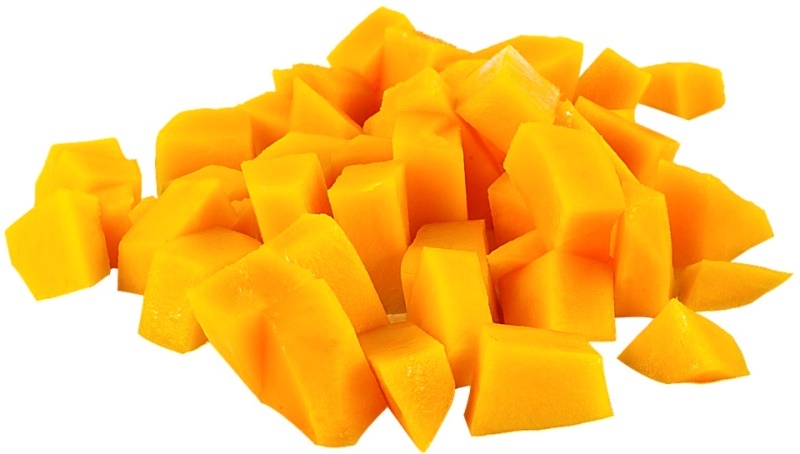 Mango helps fight off free radicals, thereby slowing down skin aging, while also hydrating and moisturizing your skin. Additionally, mango helps rejuvenate dull skin, and also keeps your skin’s elasticity intact. Avocado contains vital nutrients which keep your skin nourished, while helping clear out any skin eruptions like acne and pimples. Coconut oil is a natural moisturizer, which helps lubricate dry, flaky skin. Mash 1 tablespoon of mango pulp with 2 teaspoons of mashed ripe avocado and 1 teaspoon of coconut oil. Mix all the ingredients to form a smooth paste. Apply this paste on your face and neck evenly, keeping clear of your eyes. Leave it on for 15 minutes, before rinsing it off with lukewarm water. 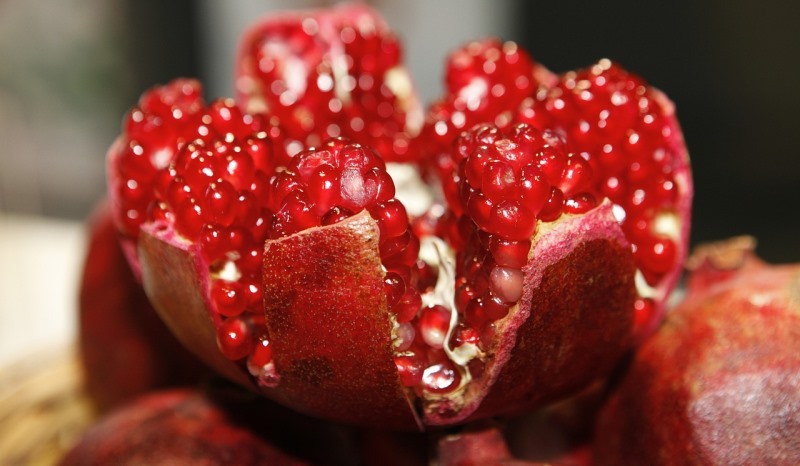 Pomegranate contains anti-inflammatory properties, which help prevent acne and hyper-pigmentation, while also elevating the production of collagen. 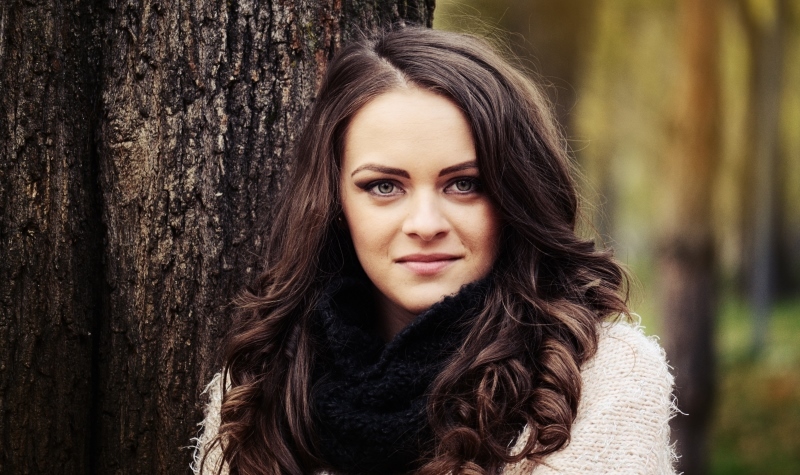 Collagen is responsible for making your skin supple, while helping retain its elasticity. Lemon juice is rich in vitamin C, which helps soothe your tanned skin. Additionally, lemon juice also contains natural bleaching properties, which help reverse sun tan successfully. Blend together about 2 tablespoons worth of pomegranate seeds in a food processor to make a smooth paste. To this, add 1 teaspoon of freshly squeezed lemon juice and mix well. Apply this paste all over your face and neck evenly, keeping clear of your eyes. Let it sit for 20 minutes, before washing it off with cool water. Repeat this face mask thrice a week for best results. 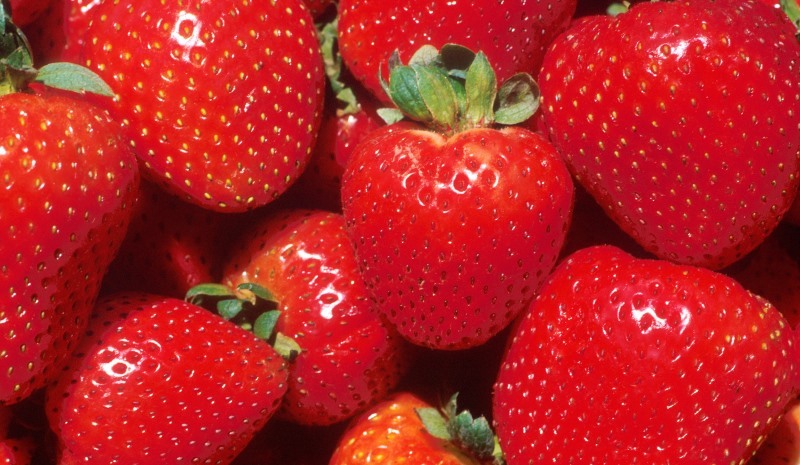 Strawberries contain vitamins C, which is an antioxidant that helps fight free radicals damage to skin cells. 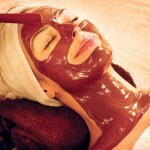 Chocolate is another ingredient which is packed with powerful antioxidants, which help keep signs of aging at bay. Honey is an excellent humectant, which helps seal in the moisture in the cells. 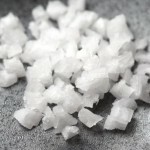 It also helps lighten the skin tone along with scars and blemishes. Blend 4 strawberries in a food processor to form a smooth paste. Add 1 tablespoon of cocoa powder and 1 teaspoon of honey to this and mix well. Apply this paste on your face and neck evenly, keeping clear of your eyes. Leave it on for 15 minutes, before washing it off with lukewarm water. Apple is rich in essential nutrients which make your skin soft and give it a glorious glow. Honey, which contains anti-bacterial, anti-fungal, and hydrating properties, makes your skin soft, smooth, and supple. 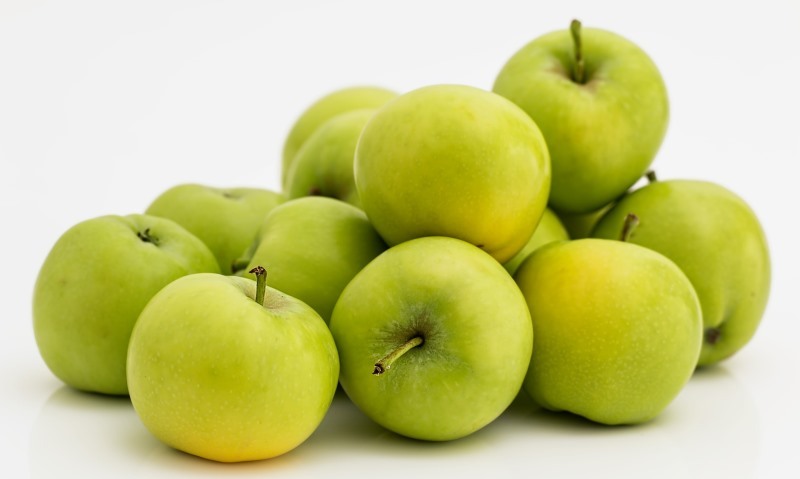 Blend 4-5 apple slices in a food processor and add 1 tablespoon of honey to it and mix well to form a smooth paste. Smear this paste all over your face and neck evenly, avoiding your eyes. Let it sit for 15 minutes, before washing it off with lukewarm water. Repeat this face mask once in two days to enjoy soft, glowing skin. Peach is another fruit that is rich in vitamin C, which helps nourish your skin, while also helps combat signs of premature aging. Tomato is a natural cleanser, which cleanses and detoxifies your skin. Honey helps lighten your skin tone, while also keeping it hydrated and well-moisturized. 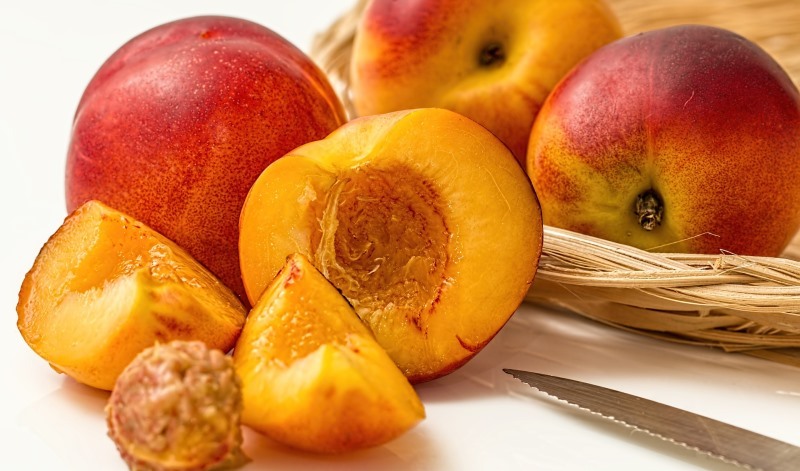 Blend together the pulp of 1 ripe peach, along with 1 ripe tomato in a food processor. Scoop this into a clean bowl and add 1 teaspoon of honey. Mix well to form a smooth paste. Apply this on your face and neck, leaving out your eyes. Let it sit for 20 minutes, before rinsing it off with lukewarm water. Repeat this face mask thrice a week for positive results. These are all the fruit face masks that you need to have beautiful, glowing, rejuvenated skin. For more updates on skin care tips, beauty regimen, makeup secrets, and fitness tips, subscribe to our newsletter today! 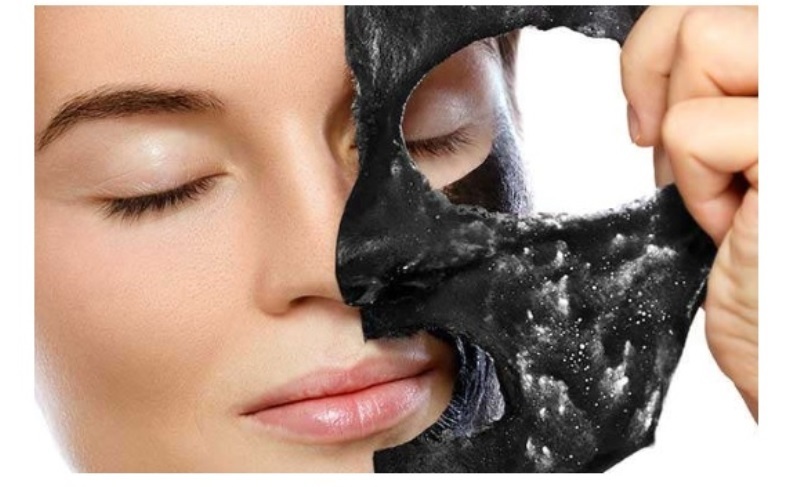 Looking to rejuvenate and revitalize your dull, drab skin? Try these amazing fruit face mask recipes, and you will NEVER want to try anything else!